and Julie White were nominated for a Tony. Every year, we have the same complaints about the selections for the Tony Awards. Or more precisely, the plays and musicals the Tony committee left out from their lists. Our objections are not to suggest that last year’s The Realistic Joneses (reviewed here) should have gotten Best Play honors. However, it should have made the list. This year, the overlooked drama is Lisa D’Amour’s Airline Highway (our commentary here.) 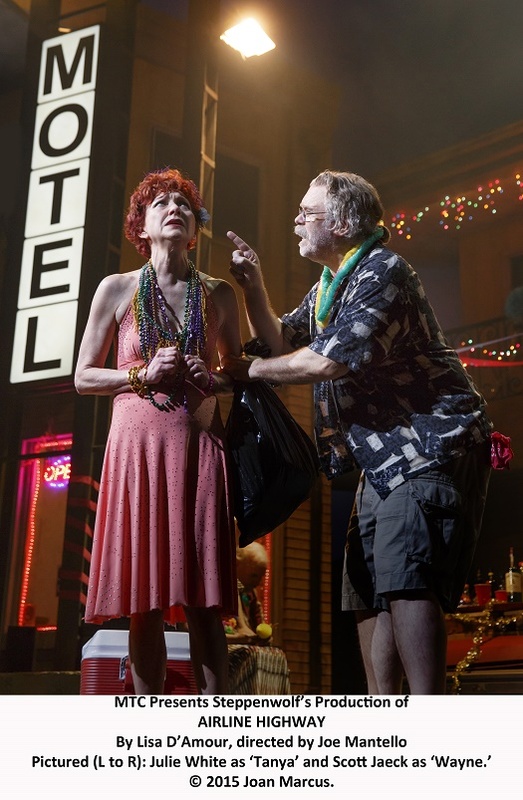 This vibrant piece should have been named in the Best Play category; it is superbly and stylishly presented with a set of a rundown motel in New Orleans that dramatically occupies the entire stage. Set designer, Scott Pask and director Joe Mantello both went unnominated. Gigi, a revival that could have filled the fourth slot after On the Town and On the Twentieth Century, had only one nomination. We love Victoria Clark, the sole recipient of a Tony nod in Gigi, but what of Catherine Zuber’s luxurious costumes or Derek McLane’s lovely scenery? 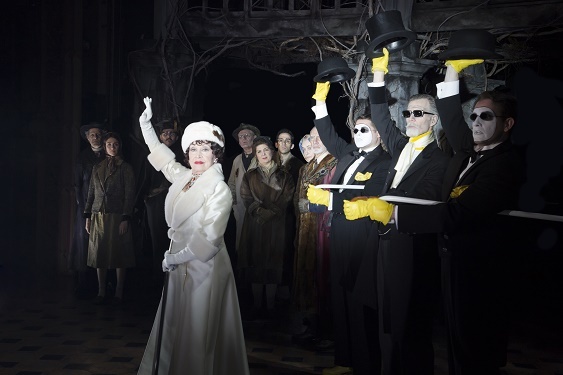 Gigi, an entertaining and all-around worthy production with a good cast, was all but ignored by the Tony committee. Clearly, not everyone wins in an Awards contest, but there should be moe runners on the field at the start. For instance, we are deeply committed to seeing a win for The King and I (see our review) for Best Musical Revival. We also favor The Curious Incident of the Dog in the Night-Time as the Best Play selection, as our commentary suggests. Those toiling in theater play to a tough crowd eight times each week.We would just like to see their fine work get its due and hard-won acknowledgement. He left the cast of Hamilton to star in this musical nominated for a Tony Best. 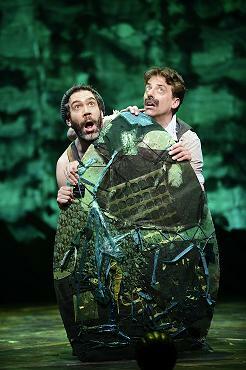 KevinDelAguila and ChristianBorle Photo 1. (c)O&M Co. He won a Tony for Peter and the Starcatcher and has a nomination for a supporting role in this Tony season. He is a principal dancer with the New York City Ballet and now is on stage at The Palace Theatre 8 shows a week. This musical transferred from The Public Theater in time Tony nominations. Kander and Ebb’s last collaboration finally reaches Broadway after taking a long circuitous route in out-of-town tryouts. Watch the 2015 Tony Awards on Sunday, June 7th. **Jeopardy® is a trademark for a game show invented by Merv Griffin. Who is Brian d’Arcy James? 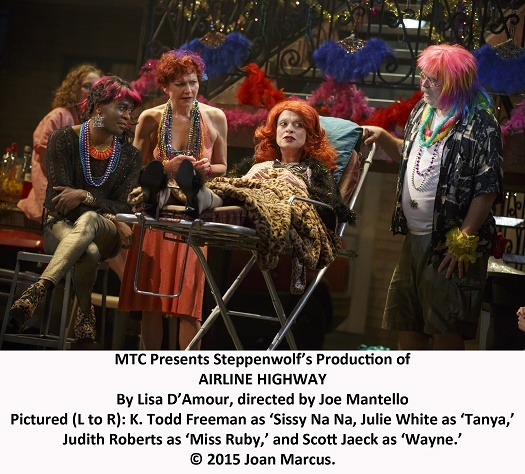 How many Tonys (out of its 10 nominations) will Something Rotten! win? Will Brad Oscar and Christian Borle be speaking after June 7th? Why did the Tony committee ignore much of Gigi’s good qualities? 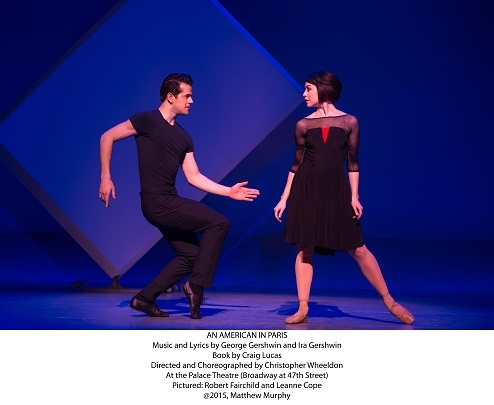 Can An American in Paris win for Best Musical over Something Rotten!? 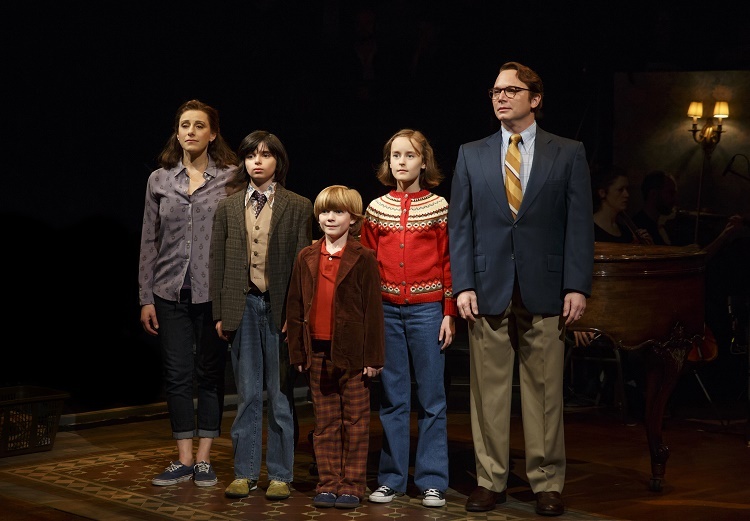 The family in “Fun Home.” Photo by Joan Marcus. When will Hamilton open on Broadway? Will Chita Rivera’s Clara prevail on Tony night, winning over the yet un-crowned Kelli O’Hara? For the Double Jeopardy quiz, go here: http://wp.me/p5jq0w-s5. Nick is reduced to paying a soothsayer, Nostradamus (Brad Oscar), for ideas from theatre-future. The result of the collaboration between Nick and the psychic is the creation of the world’s first Musical. When Lord Clapham withdraws his support, Shylock (Gerry Vichi) offers his patronage, and complications ensue. 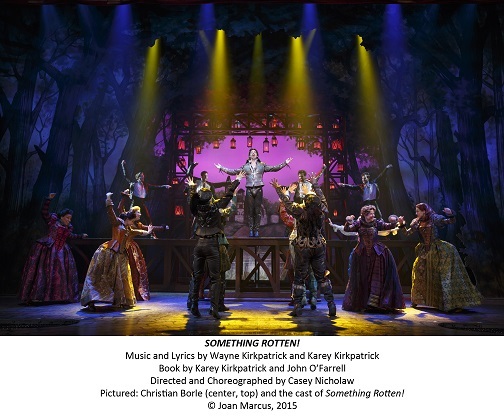 Something Rotten!, with a book by Karey Kirkpatrick and John O’Farrell and music and lyrics by Wayne and Karey Kirkpatrick, is a joyous compiliation of Bard and Broadway jokes, wonderful dance and song numbers. 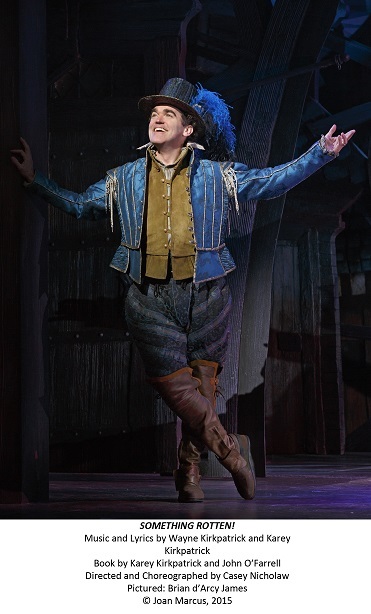 Casey Nicholaw directs and provides the jubilant choreography in Something Rotten! 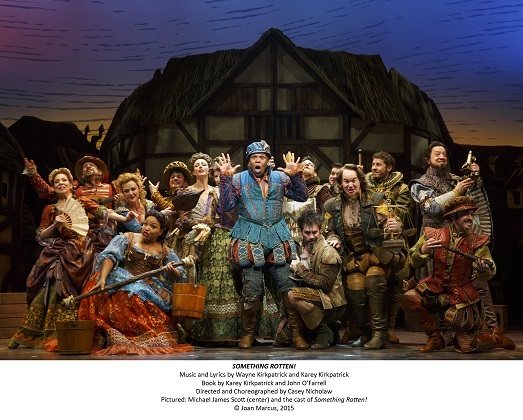 “Welcome to the Renaissance” is the anthem with which the Minstrel (Michael James Scott) guides us into Something Rotten! Rounding out the cast are the delightful Kate Reinders as Brother Jeremiah’s (Brooks Ashmanskas) daughter and Nigel’s love interest, Portia; along with a superb swing chorus in Something Rotten! As for Tony nods, Something Rotten! 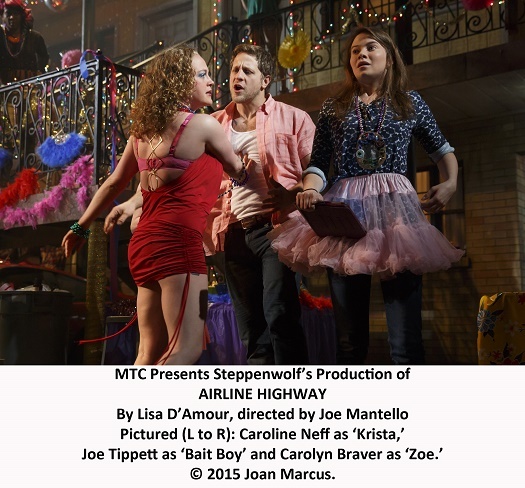 has garnered 10 well-earned nominations, two of which have gone to Nicholaw for direction and dance-making. Something Rotten! is up for the Best New Musical of 2015 Award Brian d’Arcy James got the nomination for Best Lead Actor; Brad Oscar and Christian Borle (a winner for Peter and the Starcatcher) are in competition for the Best Featured Actor distinction. Something Rotten! is something deliciously witty, clever and entertaining. 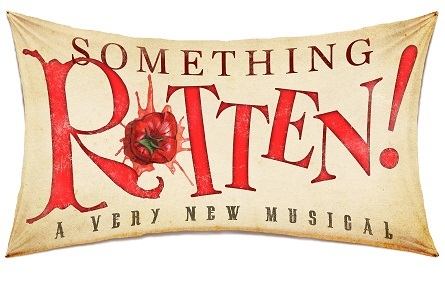 For tickets and more information about Something Rotten!, please visit http://rottenbroadway.com/. Long running Broadway musicals are an elite group. It’s tough to survive on the Great White Way. A Chorus Line played an exceptional 15 years on Broadway; it closed after 6,137 performances and had a 2006 Broadway revival, after many worldwide productions from Sao Paolo to Belgrade, Seoul, Oslo and Warrnambool. Chicago is still going strong, having begun its revival in 1996, after an Encores! production of the show; it had originally opened in 1975 and ran for 936 performances, closing in 1977. On the West End, Chciago ran for 15 years as well. Lucky number, it seems. Andrew Lloyd Webber’s Cats opened in the West End in 1981 and then came to New York with the same creative team and ran from 1982 to 2000. Which brings us to the other long-lived Webber musical, The Phantom of the Opera, now in its 25th year on Broadway, opening in the West End in 1986, and on Broadway in 1988. In 1986, The Phantom of the Opera won the Olivier Award and the 1988 Tony Award for Best Musical, and Michael Crawford (in the title role) won the Olivier and Tony Awards for Best Actor in a Music. Sarah Brightman played Christine Daaé opposite Crawford in that first Broadway cast. The Phantom of the Opera has lyrics by Charles Hart with additions from Richard Stilgoe, with whom Webber wrote the book. Like Chicago, The Phantom of the Opera has been staged worldwide and has launched several US Tours, and spawned a movie version. Today, The Phantom of the Opera‘s official site invites you to buy tickets for productions from New York to Moscow, to Guangzhou, China among other locales. Having seen the original cast, and several productions since then, we are anticipating a visit to The Majestic Theatre to see The Phantom of the Opera again soon. You’ll hear more from us when we do. Sometimes it’s those who have the least to celebrate who are most inclined to show gratitude and party. 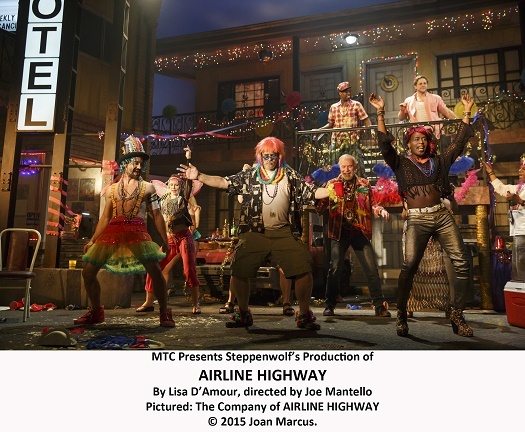 The denizens of the Hummingbird Motel on Airline Highway, the title of Lisa D’Amour’s vibrant new play at MTC’s Friedman Theatre through June 7th, are such a community. The parking lot on Airline Highway is about to be the scene for Miss Ruby’s (Judith Roberts) funeral. Miss Ruby is still alive, however, but she is revered and her request to be eulogized while she can still hear the kind words of the mourners seems perfectly reasonable. The inhabitants of the Hummingbird are marginal to New Orleans. They don’t live in the Quarter. They joke about never having been to the Jazz Festival. They eke out what little living they can by doing odd jobs, like Terry (Tim Edward Rhoze), or dancing in strip clubs, like Krista (the heartbreaking Caroline Neff), or hooking, like Tanya (Julie White.) Wayne (Scott Jacek) makes his way managing the Motel. The set (by Scott Pask), the ragtag two story front porch of the Motel and the lot on the roadfront, fills the stage. A parked car doubles as a buffet table on which Tanya, with the help of Sissy Na Na (the mesmerizing K. Todd Freeman), organizes the festivities. The only one of the Humm ingbird occupants seeking to escape is Baitboy (Joe Tippett.) Technically, he already has. He moved to Atlanta with a woman he picked up when he worked one of the clubs; she has a lot of money, a business, and a large house. Baitboy, a nom-de-guerre from his old life, is known in Atlanta as Greg; Greg brings his girlfriend’s daughter, Zoe (Carolyn Braver) to New Orleans where she wants to “research” the Hummingbird folk. Greg abandoned Krista when he left. She, despite encouragement that she reinvent herself from Sissy Na Na, can’t keep the lies she tells about how well she’s doing straight. Airline Highway, like the Hummingbird family, has a big sloppy heart. Structurally, it suffers from having too many wonderful narrators. Structurally, it is also saved by its characters’ stories. Airline Highway repects them. by not treating them as colorful sub-cultural symbols..
It’s 1984, and Nice Girl, Jo Rosen is 37 year old, holds a dead-end job in a small Boston suburb. She still lives at home with her mother, settling into an unintended spinsterhood until a chance flirtation with an old classmate and a new friendship at work give her hope for the possibility of change. Nice Girl is a play about figuring out who you are and letting go of who you were supposed to be. The cast of Nice Girl features Tony-nominee Nick Cordero (Bullets over Broadway) as Donny, Diane Davis as Jo, Kathryn Kates as Francine and Liv Rooth as Sherry. Performances of Nice Girl will take placeat Bank Street Theater, located at 155 Bank Street in Manhattan. Get tickets for May 12, 19, 26 and June 2 performances to participate in “An intimate Conversation Series” following the performance of Nice Girl. For tickets and information, visit labtheater.org. He’s been affiliated with TV shows like Mike & Molly and Two and a Half Men, worked as a stand-up comedian, and a written eight plays, Mark Roberts’ New Country, directed by David Harwell, opens on May 16th at the Cherry Lane Theatre running through June 20th. In New Country, country music star Justin Spears is a rowdy, ruthless popular guy. He’s getting married in the morning, so tonight, he’s out partying with his entourage. Will Justin’s career survive, or fizzle, after the raucous fun he’s having this evening? For tickets and information, please visit rattlestick.org. FRIGID New York @ Horse Trade will present a special one night only performance of Christian Cagigal’s Obscura on Thursday, May 21 at The Kraine Theater (85 East 4th Street between 2nd Avenue and Bowery) at 8pm. 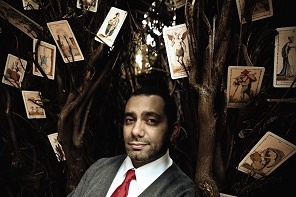 Magician and storyteller Christian Cagigal, weaves sleight of hand, dark fables and strange happenings into an evening of magic and mystery. Obscura is performed under the eye of a camera and projected large, above Cagigal, so you can’t miss a thing. Tickets may be purchased in advance at www.horseTRADE.info. The production will feature James H. Best, Guy Kapulnik, and Sandra Glinka. Recollection Of Innocence tells the story of Rafi who always aspired to become a soldier, so at 18 he joined the military to serve as an officer. When he finally returns to civilian life, recurring nightmares make it hard for him to have a normal life. Can Rafi be reclaimed by love? For information and tickets, please visit www.horseTRADE.info.